With a penchant for bringing strong, often international teams together, Kate is involved in all aspects of development and production at Cream. As President, she brings with her an extensive background in dramatic production, having produced/managed over 30 feature films and MOWs, as well as a handful of television series including Showtime’s acclaimed historical drama series, The Tudors. Over the last few years Kate has executive produced Corus’ hit, World Without Canada; Emmy Award nominated mini-series, Blood & Fury: America’s Civil War (AHC); Fear Thy Neighbor (Investigation Discovery and ID Canada), currently in its fifth season; as well as the critically acclaimed special, Son Of Sam: The Hunt For A Killer (Investigation Discovery), among others. 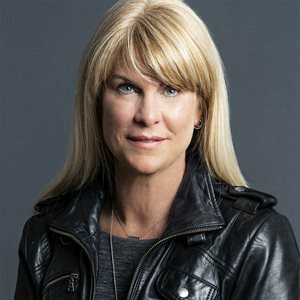 Kate also manages the bulk of Cream’s international co-productions and service business, which include both factual and high-end scripted series.